Home » Short Film » Finally,the movie came out....! Finally our short film ,'Silence' came out yesterday.It was screened at the conference hall of the Medical College hospital for which more than 500 people turned up,including doctors,medical and nursing students and the non teaching staff.To be frank,in the few days prior to the screening of the movie ,I had been through hell! Misunderstandings,technical glitches,financial constrains....there were too many complications...There were instances which even made me think about dropping this project altogether.Anyways all were happy with the final product once it came out. The biggest compliment for the movie came from my Associate Professor, Dr Vijy Paul.He didn't say a word but hugged me and gave a smile after the screening! Dr Jomine also had some good words for me.Everyone seemed to have loved the movie .There were a few interesting criticism too(honestly we were expecting that since the movie delt with a complex and serious issue).At this point of time,I would also like to mention that a major share of the success of this short movie goes to Mr Harish Krishnan who not only edited this short film brilliantly but also corrected and guided us through out while making it.Harish was also kind enough to help us in taking some difficult shots.Joseph Sabu,Sarath R.S,Unni C and Kiran Gopal all had worked really hard to bring out this movie. Right now,we are planning to make some corrections and send this movie to selected amateur short film competitions. Update: This post was written way back in 2009. 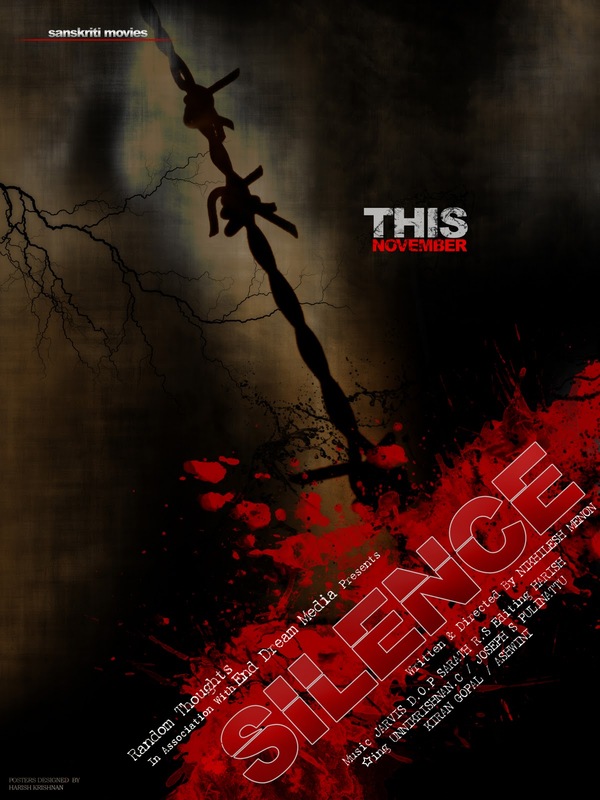 'Silence' was screened in a couple of Short film festivals of the state.Initially,we had plans to re-make it with a better cast and also on a bigger budget.But as a lot of feature films and shorts have come out with almost the same theme since then,we shelved the plans for re-doing it and moved on in Life. is t there in youtube? hey..congrats....Wanted to see ur short movie...nw hw is tht possible?? 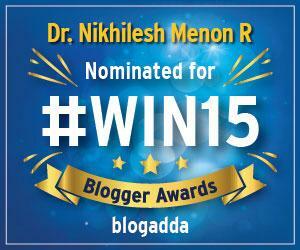 nikhimenon@gmail.com if you dont mind. the poster looks good...would like to see it for sure. do update the post with a link if and when u do upload it on the web!